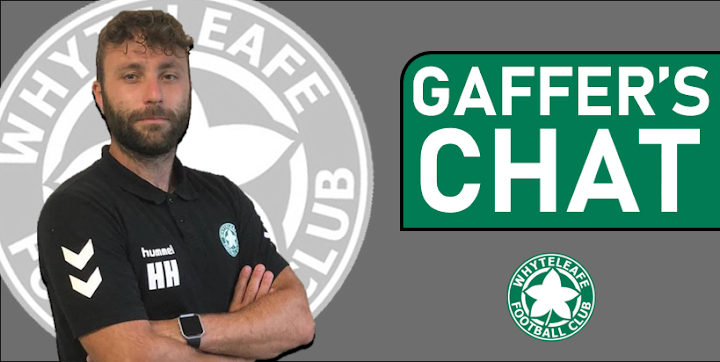 Whyteleafe FC fan and motoring journalist, Steve Hole, has his weekly cup of tea with Leafe manager, Harry Hudson, to get his thoughts and views on happenings at The Leafe. This week, Harry reflects on the home defeat to Sevenoaks Town, in his usual honest and refreshing way, while also looks forward to tough fixtures coming up – away to VCD Athletic and a home match at Church Road, next Tuesday, when we host Hastings United. Each week Harry will bring us his thoughts and important team news, the ins, the outs, and the highs and lows. Harry, a second home defeat in a row last Saturday. I won’t dwell too much on it as that’s the last thing you need, but give us your brief thoughts on the game, please. Sevenoaks seemed to come ready and fully prepared? Yes, we are in a little blip at the moment, but we need to try and assess the whole season so far and put right the things that have affected our last two games. For the first twenty minutes, we were well and truly on top against Sevenoaks when we followed our game plan. We scored first and created two other very good chances. Fast forward twenty-minutes though and we find ourselves 2-1 down following Sevenoaks’ only two shots in the game. At that point though we started doing random things and lost our structure and shape and therefore were not going to get back in the game. It is that issue that we have addressed. Do you think there’s a ‘victim of our own success’ thing going at the minute? By that I mean that word spread fast about the skilful type of ‘total football (sorry, Jurgen!) you have had us playing, so that now teams are coming up with a specific game plan to face us? I think so, especially at home. Teams have come to Church Road and set themselves up to say ‘come and break us down’. We should be good enough to cope with that as we try and pride ourselves on being tactically adaptable. That being said football is a very unpredictable game, as we know. We have performed below our level in the last two games but lost both by just one goal, last week due to a freak own goal, and on Saturday we should have got the second goal and the game would have been totally different. There are things to improve on most definitely but there is absolutely no need to push the panic button. This Saturday (November 24) we’re away to fairly high-flying VCD Athletic that could be a tough one. What’s the old saying our dads told us when we were kids when we fell off our bikes? GET BACK ON IT ASAP! Most certainly and we are looking forward to a game against a top team in our league. I am sure VCD will be looking to bounce back from their disappointing game last week and take the game to us. The onus will not be on us away from home but that will pose a different challenge to us. VCD have also had some mad results lately. They had two decisive wins (5-2 to Faversham and 7-1 away to Herne Bay) but then got battered last Saturday, away to Horsham (incidentally, your prediction about them seems right!). What are your thoughts on this one, Harry? I think Horsham have the potential to beat anyone on their day as they are a good outfit. VCD have some very experienced and good forward players who will score goals and that’s probably what happened against Herne Bay and Faversham. We are looking forward to the game and the squad are hungry to put points on the board. Following on rapidly from VCD, next Tuesday evening we host Hastings United at Church Road (November 22 - 7.45pm kick-off), another tough one, but we seem to save our best performances for the top teams? Why do you think that is? Yes, we will be hoping to replicate our win against them in the FA Trophy. I agree we seem to perform best against the ‘top’ teams so far. I believe we are best when teams come out and have a go at us because then there is more space for us to exploit. At any level of football, it isn’t easy to break down a team with ten players behind the ball. You know the final question! Any injuries to report? Any signings or departures? No injuries to report this week and Nathan has had his operation pushed back so we have our captain available for the short term, which is great news!